1. What are the general requirements for applying to the University of Cologne? To apply for an undergraduate degree programme, you must possess a formal university entrance qualification to German universities (Hochschulzugangsberechtigung) and sufficient proficiency in German language. There are no English-taught undergraduate programmes of study at the University of Cologne. Students must therefore demonstrate excellent German-language skills when they apply, this means German language proficiency on the C1-C2 level of the Common European Framework (DSH-2, TestDaF TDN 4 in all examination parts or equivalent). This is also required for German citizens with foreign university entrance qualifications. If you haven´t reached that level yet, we offer a preparatory German course for those, prooving a completed level of B2. 2. Which degree programmes can I study at the University of Cologne? Where can I find the university’s complete listing of degree courses? 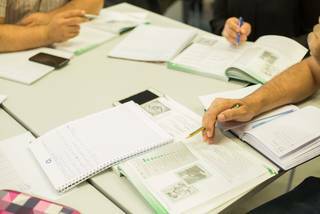 A complete listing of degree courses can be found on the website of the Central Academic Advisory Service ⇨ Studienangebot ⇨ Fächerübersicht (grundständiges Studium) [Also see http://ukoeln.de/VZUSX] The Central Academic Advisory Service offers counselling for your choice of degree programmes. The higher education compass offered by German Rectors' Conference (Hochschulkompass der Hochschulrektorenkonferenz (HRK)) provides you with information about all degree courses offered by German universities. 3. How do I apply to the University of Cologne? 4. What are the deadlines for my application?